Powersports Marketing helped give a boost to six midwest Indian Motorcycle dealerships with the Sharp Shooter Program. A natural starting point was to first build their dealership’s buying base, to identify what each dealership was working with for past customers and conquest folks in their backyard. This is a two-part data strategy. First, we focused on a dealership’s past sales, service and parts customers who’ve bought from them in the past 4 years. Next, we identified people that rode 600cc+ on-road cruisers and H-D owners that lived closest to the dealership, but had never bought from them. Once we had those numbers, we marketed to 5,200 customers per store with half going to past customers and half going to new customers. Two of the six dealers were new open points, which meant no current customer database. 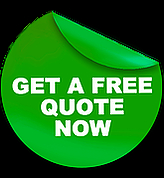 Removing the past customer database, removes two of the most effective poles in the water: the integrated call blast and two email blasts. It also means you’re marketing to a cold list, a group of customers who’ve never bought from that particular dealership. This campaign would literally act as an introduction to the store. 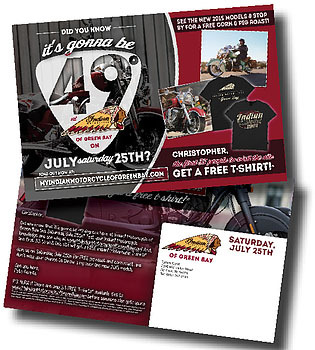 Once we identified who we were going to marketing to for each store, we created a custom “49 Degree” Campaign. The card asked, “Did you know it’s going to be 49 degrees at ___ Dealership this weekend?” Curiosity is a huge driver of response and this was a great hook to drive customers both to the survey site to capture contact information (email addresses and phone numbers, which was especially important for the two new points), and generate a pipeline of leads for every department. With the Right Audience and Right Message nailed down, we used our signature media channels and timing to generate maximum results. For all but the two new stores, we used a combination of direct mail, two emails blasts, a call blast, event signage, web banner, fliers, survey site and a lead magnet to drive traffic to the event and generate hundreds of leads per store. If you’re an Indian Dealer reading this, go to www.PowersportsMarketing.com/49degrees. For everyone else, it’s August, which means back to school for the kids and new models for the adults. These are two of the very best reasons to celebrate! So get involved with a ‘While the Kids are Away, Come In and Play’ event or a ‘New Model Open House’. These are two proven winners to move the needle in late August and Early September. But that’s not all, we’ve got lots of great excuses to market to you base this month. Check out the inserts for just a few examples. To have Powersports Marketing build your dealership’s Buying Base and put a plan in place to hit them consistently, call me on my direct line at 877-242-4472 ext: 112 or get more details at www.PowersportsMarketing.com/49degrees. Happy selling!